GAC Motor Executive Vice President Songguang Zhan, left, greets incoming NADA Chairman Charlie Gilchrist. Next to Gilchrist is 2018 NADA Chairman Wes Lutz, and NADA CEO Peter Welch is at right. 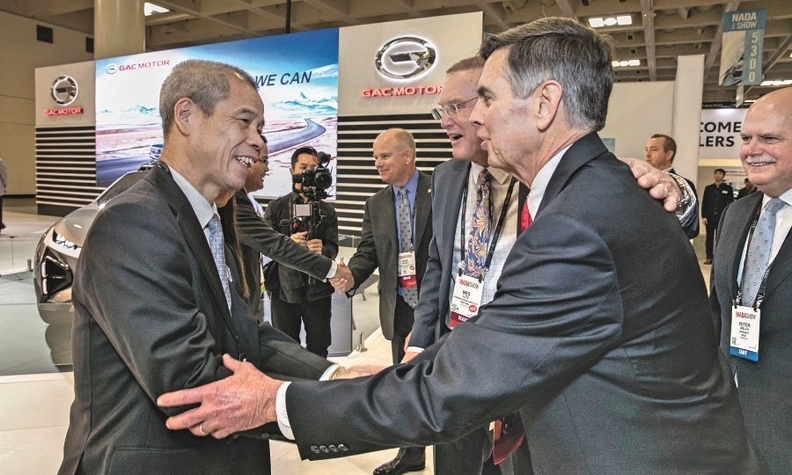 SAN FRANCISCO — Two Chinese automakers used the NADA Show to woo dealers and further shape their distribution networks as they aim to start selling vehicles to U.S. consumers next year. 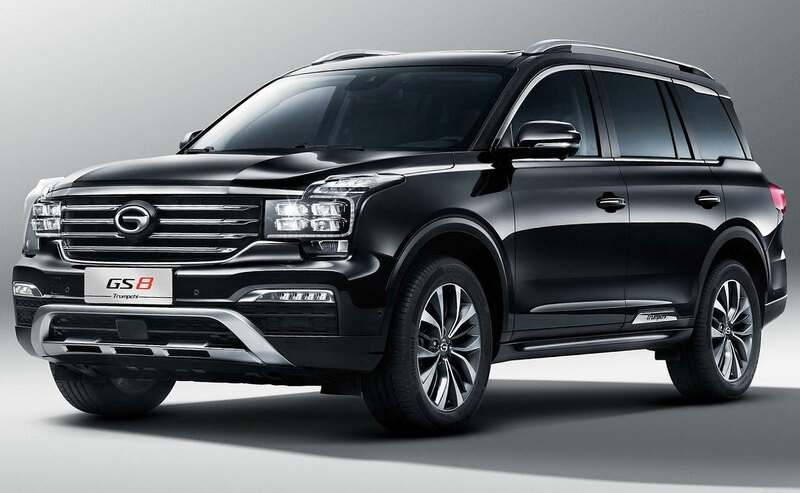 Zotye USA named its first 10 U.S. franchised retailers, covering 19 points, and said it was in "serious discussions" with about 100 more ahead of an expected launch in late 2020. It also began to lay out some details of its retail strategy, including plans to standardize pricing, prioritize online sales and pay dealers a commission, according to those who signed with the brand. Meanwhile, GAC Motor, which has pushed back its U.S. debut to mid-2020 from late this year in response to the Trump administration's 25 percent tariff on Chinese imports, was less transparent about its plans at the show. Company officials said they met with 80 dealers and partners. Both automakers are attempting to break into the U.S. market amid declining new-vehicle sales and rising trade tensions with China. They and other Chinese brands have quietly set up r&d centers and supplier operations stateside in recent years, but none have actually put any vehicles made in China on U.S. roads. "It shows these companies have patience and the funding to support their ambitions," Stephanie Brinley, principal analyst at IHS Markit, told Automotive News. "They're really trying to understand the market and they're investing time and energy to make sure they arrive with products that are in strong alignment with customer tastes. We've been talking about Chinese automakers in the U.S. for at least a decade, but we have two that are making a little bit more headway." Zotye appears to be farthest along. It plans crossovers for its first two U.S. vehicles, likely a compact and midsize, possibly followed by a full-size SUV, CEO Duke Hale said. Hale said the vehicles will be priced "at least 20 percent better" than their competition. Bob Pradzinski, Zotye USA's senior vice president of sales, said the automaker signed nondisclosure agreements with about 120 dealers during the show and is having serious discussions with about 100 of those dealers. The company is collecting payment from dealers who have signed a letter of intent with Zotye USA. Pradzinski said it's asking dealers for half of its fee when they sign a letter of intent and the rest when they sign a franchise agreement. Hosford, vice president of public relations for Zotye USA, said there is a three-tier system based on the size of the market a dealer is interested in. Chip Doetsch, president of Apple Ford-Lincoln in Colombia, Md., was among the first 10 dealers to sign with Zotye. He said the company's background, as well as its product quality and its vision for the retail network, impressed his team enough to purchase three points. Zotye plans to announce another batch of approved dealers and points in March. Doetsch did not attend the NADA Show, but he met with Zotye a few months ago in Baltimore. In total, he's met with the automaker three times and had a handful of phone calls. "It was a matter of when, not if, Chinese products come to the U.S., and we felt pretty comfortable with the quality of their products," Doetsch told Automotive News. "We also like the customer experience they've envisioned for the retail channel." Doetsch said Zoyte wants to employ a standard pricing model and offer as much of the car-buying experience as possible online to save time. He said he had no concern about selling a Chinese brand in the U.S.
"Customers are trading their money for quality," Doetsch said. 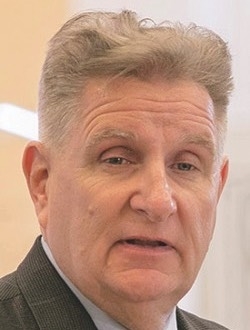 Irv Stein, a Volvo dealer, along with Jack Stein, Ben Stein and Noah Sullum, plans 2 stores in Berwyn, Pa., and Doylestown, Pa.
Randy Stoops, a Buick-GMC dealer, plans 1 store in Muncie, Ind. Roger Scholfield, a Honda dealer, plans 1 dealership in Wichita, Kan.
Mary Margaret Latham, a dealer who has Volvo, Subaru and Hyundai stores, plans 1 store in Wilmington, N.C.
Larry Battison, a Honda dealer, will open 2 stores in the Oklahoma City area. George Doetsch, a Ford-Lincoln dealer, plans 3 stores in the Baltimore-Washington-Howard County, Md., area; Elkton, Md. ; and the Annapolis-Glen Burnie-Dundalk, Md., area. Ron Fornaca, a Subaru dealer, plans 1 store in San Diego. Sam Brnovich, a former Hyundai Motor America executive and CEO of BWI Auto Ventures, plans 6 stores in Sarasota-Venice, Fla.; Port Charlotte-Fort Myers, Fla.; Las Vegas; Los Angeles-Chino Hills, Calif.; and Bakersfield, Calif.
George Whitlow, a Lexus dealer, will open 1 store in Richmond, Va.
Larry Battison, a Honda dealer in Oklahoma City who plans two Zotye stores, said he first talked with Hale about the brand at the 2018 NADA Show and traveled to California in fall to learn more. Battison said he plans to sell some Zotye vehicles from a separate space on his Honda used-vehicle lot. For the other point, he plans to have space in Norman, Okla., maybe a boutique displaying one vehicle in a shopping mall. He intends to start out offering service at the Honda store and, as volume builds, may look to build or acquire another facility. Battison said his daughter, Courtney Battison, would be dealer principal of the Zotye stores. 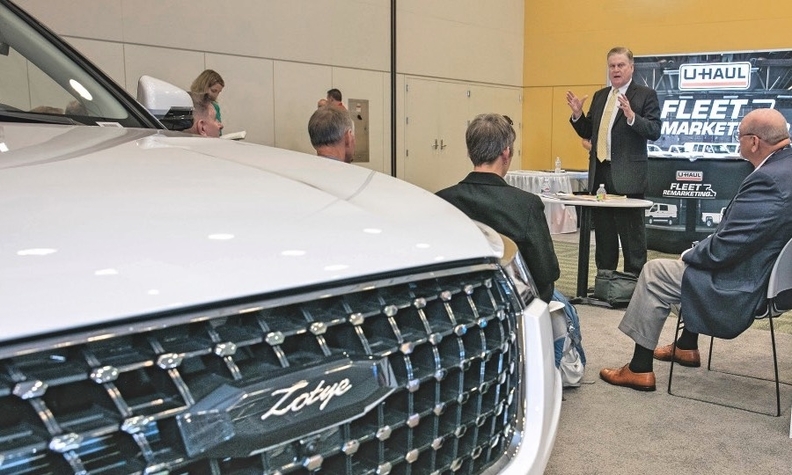 Larry Battison said he expects to have up to a half a dozen nameplates to sell at launch in fall 2020 and that Zotye plans to introduce another vehicle in the U.S. in its second year. He said Zotye's margin between invoice and sticker price will be small, but that the company will pay dealers commissions on sold vehicles. Dealers also will get paid for online sales in their markets, Battison said. "The profit we make on a Zotye will be substantial," he said. Battison said he expects to sign a sales and service agreement, and thus pay the second half of his fee, this fall. Citing a confidentiality clause, he wouldn't reveal how much he has paid so far, but said it was "not enough to break anybody." "The money is going to pay for some point-of-sale material," he said. "It's to finance the distributorship until they get going." 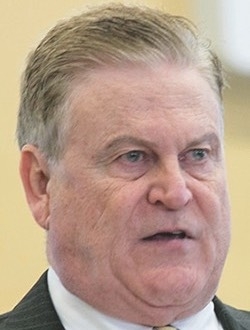 Battison inquired briefly with GAC, but his understanding is that company will require a more elaborate facility — which would be a "huge gamble" to dealers, he said. Hale: Prices will be much lower. 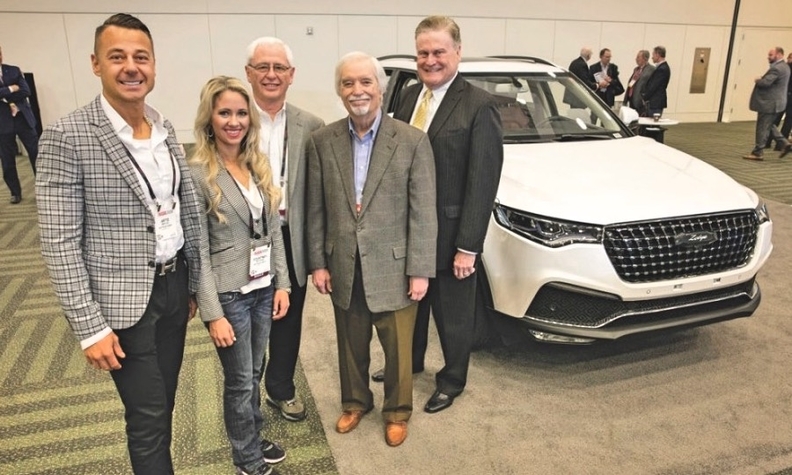 GAC's display at the NADA convention featured a number of vehicles, including multiple utilities, the GM8 minivan, GA4 sedan and Enverge concept car. The company did not make any executives available for interviews, saying their schedules were busy with meetings. In a press release, GAC said it hosted more than 80 dealers and partners. A GAC spokeswoman declined to say whether any dealers signed agreements with the automaker. She said GAC used the NADA Show "as an opportunity to meet with some people and finalize plans," and that the company would be making an announcement in the next few months in preparation for a June 2020 U.S. launch. But a representative of one dealer who met with GAC officials described the meeting as disappointing. The dealer went to the convention prepared to make a significant investment in GAC but is now reconsidering, said the representative, who asked not to be named discussing confidential talks. Zotye USA CEO Duke Hale says the brand’s first two U.S. vehicles will be crossovers, likely in the compact and midsize segments. They might be followed by a full-size SUV, he says. GAC did not appear to have firm plans for entering the market, asking the dealer for advice on which vehicle to offer here and where to first launch it, the person said. The dealer was told that GAC plans to introduce one vehicle per year for three years. GAC hasn't said publicly which products — or how many — it plans to sell in the U.S.
"I don't think anybody could have walked out of there with a warm feeling," the dealer representative said. "It's like they didn't know what's happening."